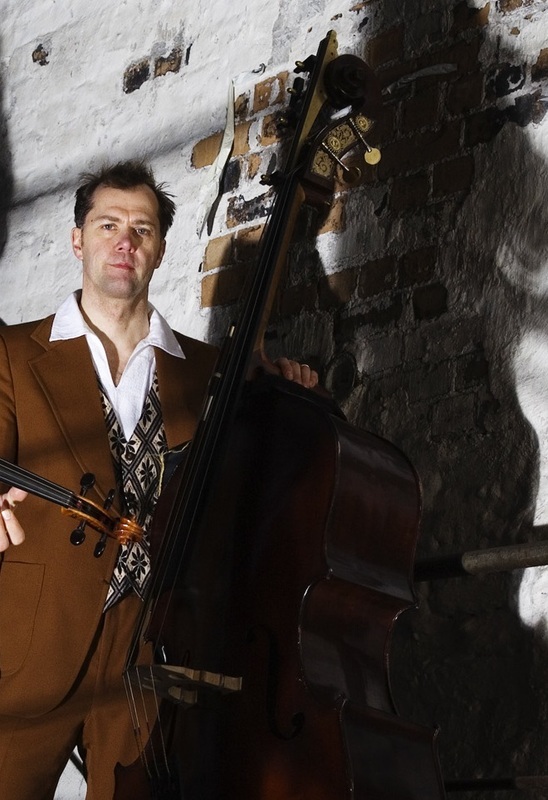 Sampo Lassila is one of the top bass players in Finland. His regular work includes performing as a musician and composer in a large variety of groups and styles from etno to chamber music. His own trio, Sampo Lassila NARINKKA and Doina Klezmer, Nada, Free Okapi, Zagros , Sound & Fury and Sinfonia Lahti are among the recently most active groups and orchestras. Strong influences Lassila got when working with Raoul Björkenheim in the Krakatau -powerjazzgroup and in the legendary Edward Vesala's Sound & Fury. Born in Turku, the old capital of Finland, he started to play double bass at the age of fourteen. 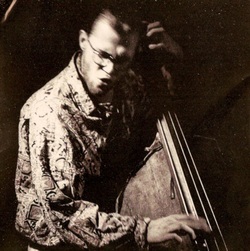 Quite early he found his way in to the lively modern jazz scene in Turku that time, playing also in many progressive and experimental rock groups in Turku. Improvisation in different forms and styles has always been an important part of his musicianship. After graduating from the soloistic department of Sibelius-Academy Lassila has worked widely in Finnish music scene. Crossing the musical borders is an everyday situation in his musical life. Lassila has also studied in the University of Turku, in the Conservatoire of Turku and in Medialab, University of Art and Design Helsinki. Lassila has had the privilege to perform in almost every European country and in Argentina, Japan, China, Mexico, USA, Brasil, India and Benin. As a composer-musician Lassila has recently concentrated to create original Finnish etnomusic, which has a strong origin in the multicultural heritage of the Finnish urban environment . Interestingly between the eastern and western Europe, the Finnish cities have had their own quite special historical mixture of musical cultures. Compositions include music from duo to symphony orchestra, mostly for his own trio Sampo Lassila Narinkka. This idea of a musical "genre", "suomiklezmer" has actually created a quite new style of music into the Finnish etnoscene. Lassila has also composed music for several dance productions and documentary films, specially for Tommi Kitti's dance company. In May 2008 his composition Dybbuk Ahava for Orchestra was performed by Lahti Symphony Orchestra. Lassila has premiered over 40 chamber music compositions for double bass, mostly from Finnish contemporary composers. He has had solo concerts in Helsinki, Stockholm, Järvenpää and Kuopio. 1994 be played the premiere of Einojuhani Rautavaara's Angel of Dusk - double bass concerto (II version) in Kuhmo Chamber music festival. He appears as a musician, composer or arranger in 95 albums. In his philharmonic life Lassila works as a member of Sinfonia Lahti, one of the most known Sibelius -ocrhestras in the world nowdays, conducted perviously by Osmo Vänskä, Jukka-Pekka Saraste, Okko Kamu and now by Dima Slobodeniouk. In the Gustav Mahler Jugendorchestra, conducted by the late Claudio Abbado Wien, he worked 1991 as a co-principal of the double basses. Lassila has been twice granted with Finnish State Grants for artists.